Welcome to our first issue of Cloth Diaper Column for 2013! I'd like to welcome each and every one of you, both new and returning subscribers! Every month we deliver new information about cloth diapers straight to your inbox, and we pull in a timely article or two from our website. The start of a new year has long signaled a chance for new beginnings and resolutions for change and self-improvement. I took some time to review plans for Thinking About Cloth Diapers for 2013, and I can't wait to share some of the excitement with you! I want to revisit and edit some of our earliest articles, plus I've got more informative articles planned (some are even half-written!) I'm also going to be adding more content and tutorials to the Making Cloth Diapers section of the website. Many of our readers have submitted reviews of their favorite cloth diapers (if you're one of them, THANK-YOU!). I am looking forward to sharing more brands and reviews with you in 2013 - and including the opinions and comments you've shared. If you'd like to submit a (very quick) review, please click here - there's a simple form at the bottom of the page. You open up your baby's diaper and discover a nasty surprise. No, I'm not talking about a big bowel movement, I'm talking about a red bum. Your baby's got a diaper rash! Yes, it happens to everyone at some point or another - and sometimes it's completely unexplainable! Babies often get diaper rash when they are teething or if they have a food sensitivity, and there's lots of other reasons they might break out a red bum, too. You may have heard that babies get less diaper rashes when they are diapered in cloth. I haven't decided whether to believe it yet or not. I've seen rashes with both disposables and cloth diapers. Take a minute to add a comment at the bottom of this page and let me know what you think - do you see less diaper rashes when you use cloth diapers? Don't fear if your baby gets a rash. Most of the time, an application of diaper rash cream is all it takes to clear up diaper rash. If you're using cloth diapers, be sure to invest in a cloth diaper friendly rash cream, such as CJs, Grandma El's, the Balm, or others. Using commercial zinc oxide products and Vaselines can cause long-term issues with your diapers because these products coat the fibers of your diapers, making it hard for them to do their work absorbing urine. We also have a full length article on this topic on our website. You can find out more about cloth diaper rashes, including tips on how to avoid them here. Funky Fluff launched their first prints this month - plus new colors too! If you haven't heard about Funky Fluff yet, you're missing out! You can read our full review on these versatile and affordable diapers here. Plus, until February 3, stop by our website to enter the Funky Fluff Freshly Pressed Giveaway for your chance to win 12 awesome Funky Fluff diapers, plus a second prize of a Funky Fluff Starter Kit! Do You Sew Your Own Diapers? Coming up in February - we've got a giveaway for a great pack of cloth diaper making supplies starting soon! Keep your eye on our Facebook page for the announcement! I can't wait to announce the prizes donated by KAM Snaps and Wazoodle! Plus, we're working on some more sewing tutorials for our website too! 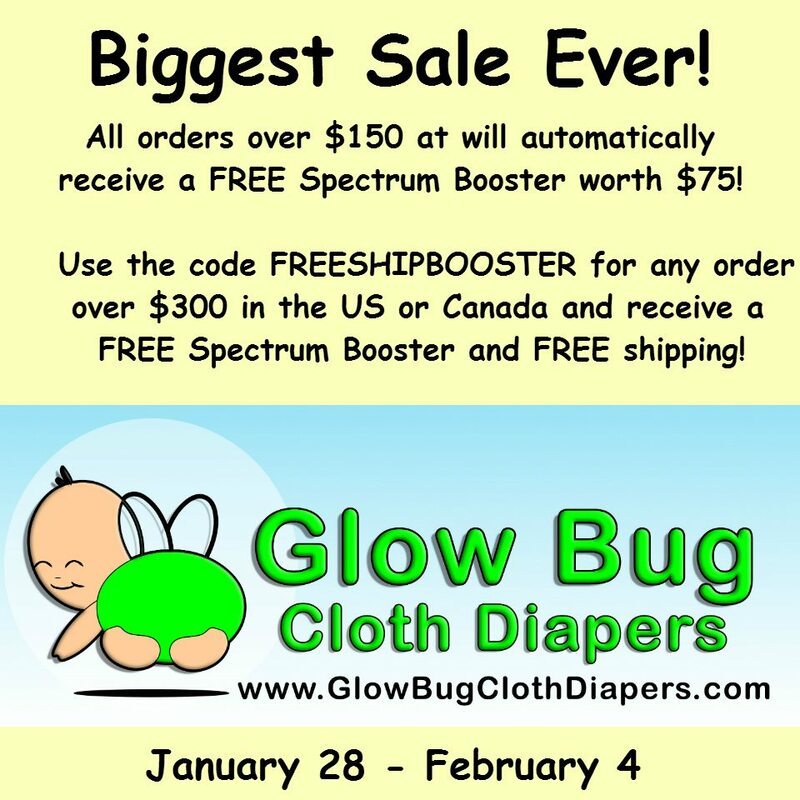 Glow Bug Sale - Save over $4 per diaper! Several months ago, we published a head-to-head comparison of 6 pocket diapers under $13. Glow Bug Diapers have been building up quite the following with moms on a budget. They have tons of cute prints, and are well made. 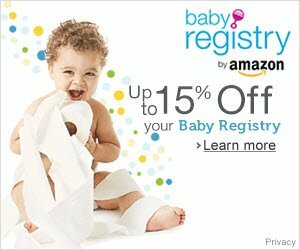 Plus, with a regular price of 12 diapers for just $150, that's quite the deal! But, this week it's even better! Because, this week only, when you buy 12 pocket diapers, you get 6 solid coloured diapers (called a "Spectrum Booster") for free! That works out to less than $8.50 per diaper! WOW! You can read more about Glow Bug and browse through their products right here. Don't miss this great deal - it ends on February 4. Please note: you do not need to order the Spectrum, it is added to your order automatically after you choose a $150 12-pack! I've always got my eyes open for time-saving cleaning and cooking tips to share with you. Is water draining out of your sink more slowly than usual? Rather than invest in expensive tools and chemicals to clean your drains, try using salt! Just pour 1/2 c. of salt and a quart of warm water down your drain and let it clear away anything that's causing a blockage. This really does work, and it's a healthy and inexpensive fix! 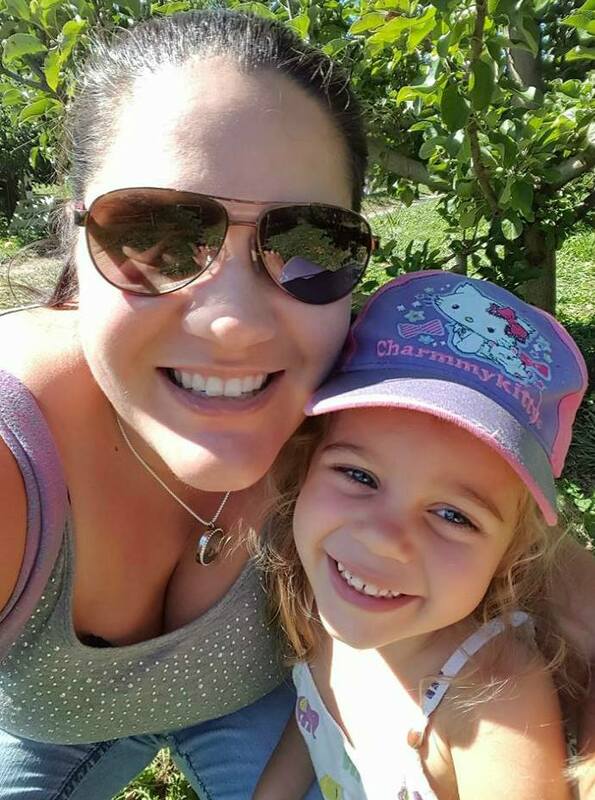 If you have a question, or an idea you think we should share with other busy moms in an upcoming Cloth Diaper Column, I’d love to hear from you. Feel free to drop me a line!